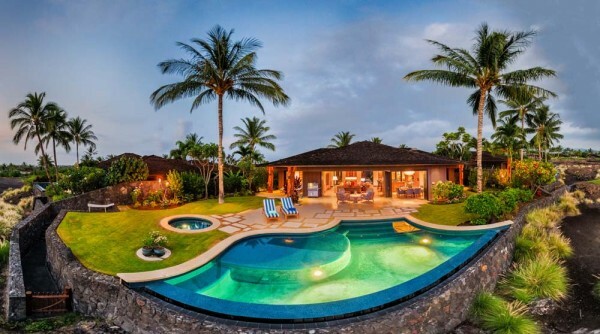 Newly listed in the heart of Kukio, this home is designed to maximize the direction of the ocean and golf course views. Built with quality by Maryl with the finest features, each space is thoughtfully designed with a welcoming layout, abundant daylight, and tranquil privacy. 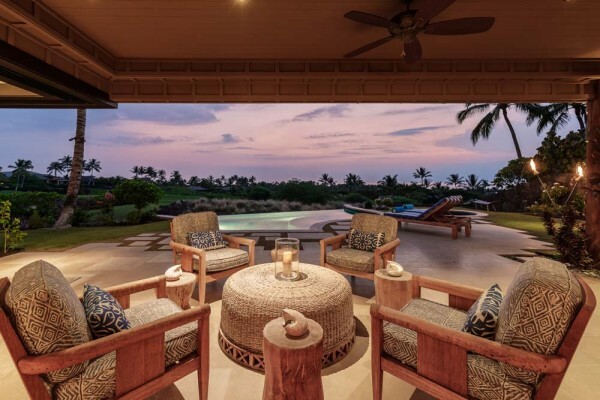 Watch the sun set into the Pacific Ocean either from the living room or dining room, both of which have sliding glass pocket doors opening to the comfortable lanai. The expansive lanais front a beautiful infinity pool and spa, perched on the edge of Hole 9 of Kukio’s Tom Fazio-designed 10-hole golf course. 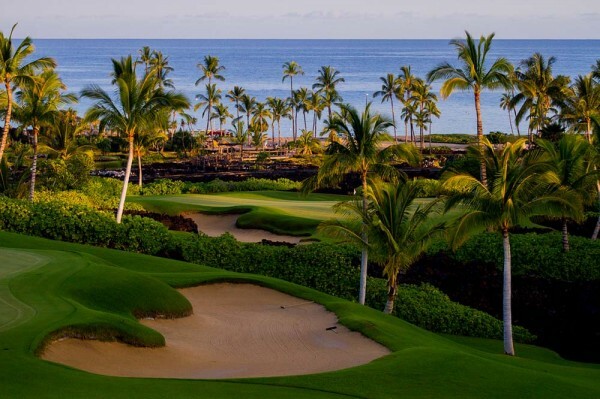 A lush pathway leads you directly to hole 9 on Kukio’s 10-hole golf course. 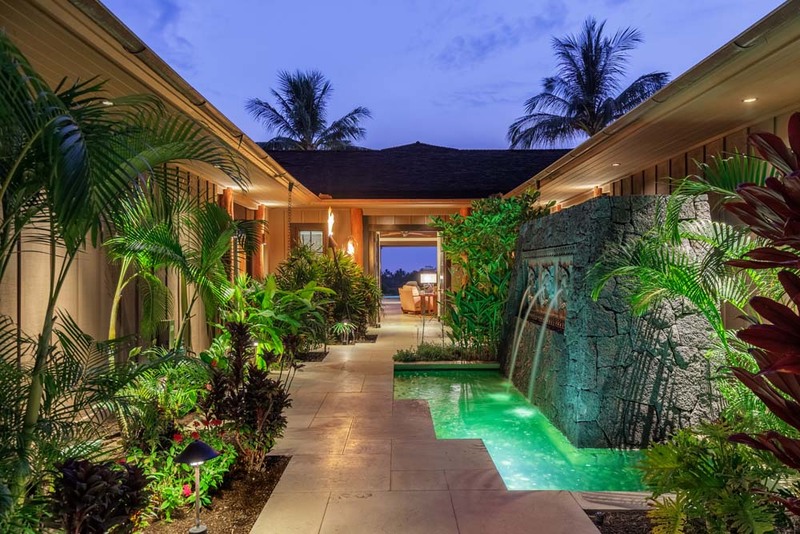 Beautifully landscaped tropical entry gardens and a tranquil waterfall greet guests at the front gate, which opens to outdoor entries of all the five bedroom suites, each of which feels like its own private retreat. 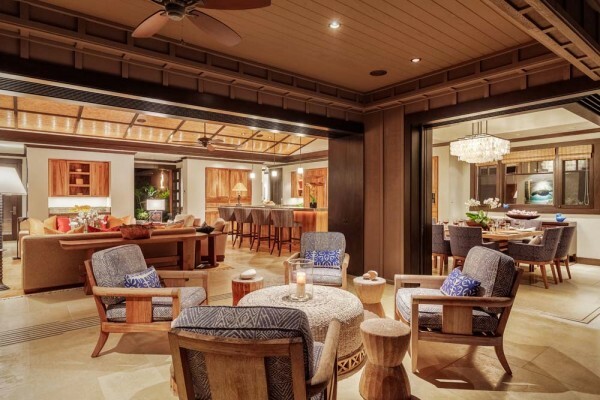 Designed and built by Maryl, the home’s quality is evident in the beautiful woodworking throughout, with Ohia posts, Koa cabinetry, and the unique hand-hewn teak floors in the bedrooms. The bedroom suites welcome guests with plenty of privacy. 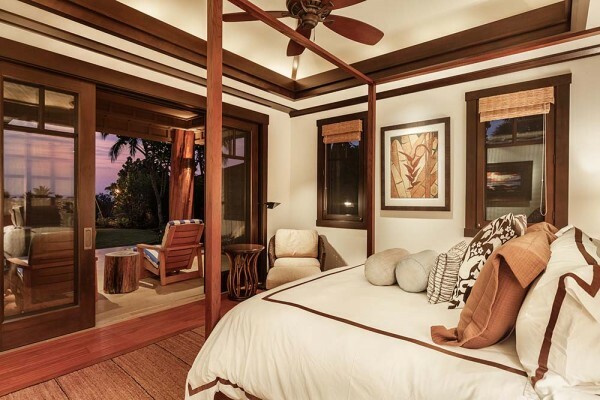 Each bedroom suite enjoys its own private lanai from which to enjoy the serene beauty of Kukio on the Big Island of Hawaii. They all include their own outdoor showers. For more information about this property or to schedule a tour, please contact Carrie Nicholson, R(B) BIC.